Frantz Dental offers Invisalign® braces in Kingston, PA to help our patients discreetly achieve the straighter smiles they desire. While many patients avoid orthodontic treatment because of the appearance of metal braces, Invisalign trays offer a more visually appealing alternative to traditional orthodontic treatment. When a patient first inquires about these clear braces, our team assesses whether they’re a candidate for the treatment. Over a series of visits, we take impressions, and model the outcome of treatment, and send your information to a laboratory for the manufacture of your aligners. Treatment begins when the complete series of trays are sent back to our office. Approximately every 6-weeks, we check on the progress of treatment with a check-up appointment. As your teeth shift, we deliver the next set of aligners in your treatment until you’ve completed the process. It’s important to wear your aligners as often as possible to prevent delays in final outcomes. 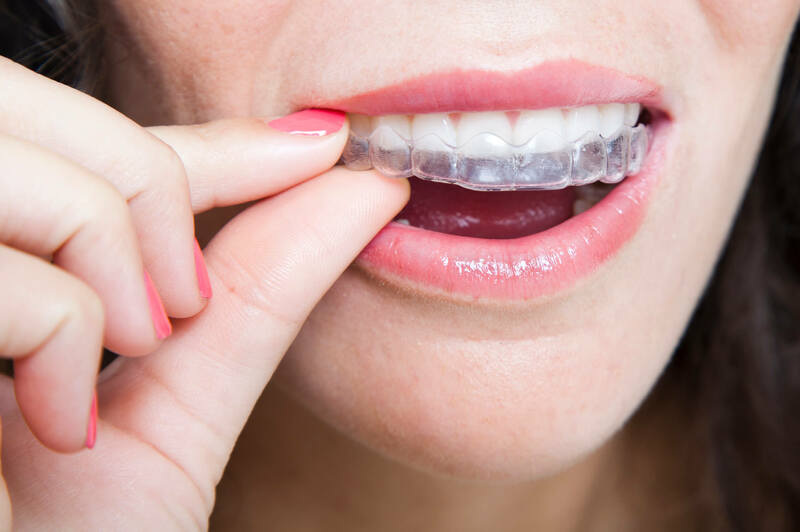 The more diligent you are with wearing the aligners, the more dependable and predictable your results will be. Better oral hygiene – Traditional metal braces impede a patient’s ability to floss and clean teeth and gums as they normally would. This can irritate gum tissue, causing swelling and discomfort. Because Invisalign is removable, patients can clean their teeth as they normally would. Flexibility – Whether you have an upcoming lifetime milestone, Invisalign orthodontics adapt to your circumstances. If you’re put off by the idea of having aligners on your teeth during a major event or in pictures, you can easily remove them. No Dietary Restrictions –Many patients dread the dietary limitations required when wearing traditional orthodontics. With Invisalign braces, patients remove their aligners to eat and brush before placing them back in the mouth, so there are no restrictions regarding what a patient may eat. Ideal candidates are patients with mild to moderate cases of crowding or bite issues. Severe orthodontic concerns may require traditional orthodontic treatment, as it can treat a wider range of concerns. Children whose jaws have not yet fully developed may not be candidates for this treatment. If you’re considering Invisalign braces in Kingston, PA, Frantz Dental is happy to teach you more about the procedure and determine if you’re a suitable candidate. Contact our office today to schedule your consultation and take a step towards a straighter, healthier smile.